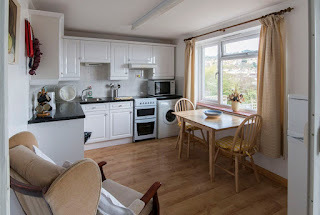 Lucerne Apartment is situated to the rear of Lucerne with magnificent views of the Jurassic coastline from Lyme Regis towards Portland Bill, a distance of about 19 miles. These views are obtained from the kitchen / dining area and the lounge. The apartment is in a quiet residential area within the town of Lyme Regis. It is about 5 minutes to the main shopping street and the start of the beach on foot. 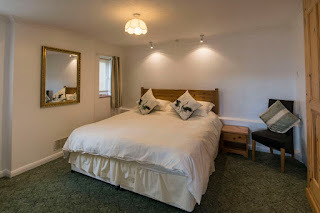 The apartment has deliberately been kept as spacious, fully equipped for self catering; it has a patio garden area for the use of the apartment occupants and covered (car port) parking. The apartment is provided with gas central heating, has electric for cooking, there is the usual fridge freezer. We endeavour to provide comfortable beds that we ourselves would sleep in normally firm.